I could give you a million different reasons to visit Edinburgh. There's no denying my love for this city, even if I may be a little bias! There's definitely key events throughout the year which bring more of a buzz to the city from tourism. From the Fringe Festival to the Christmas Markets, hotels and apartments are always in demand here. One of Edinburgh's newest apart-hotels, Eden Locke was established in London and soon made it's way up to Edinburgh with it's urban charm. Located in the heart of the New Town on George Street, a matter of minutes from Princes Street, it's incredibly central. 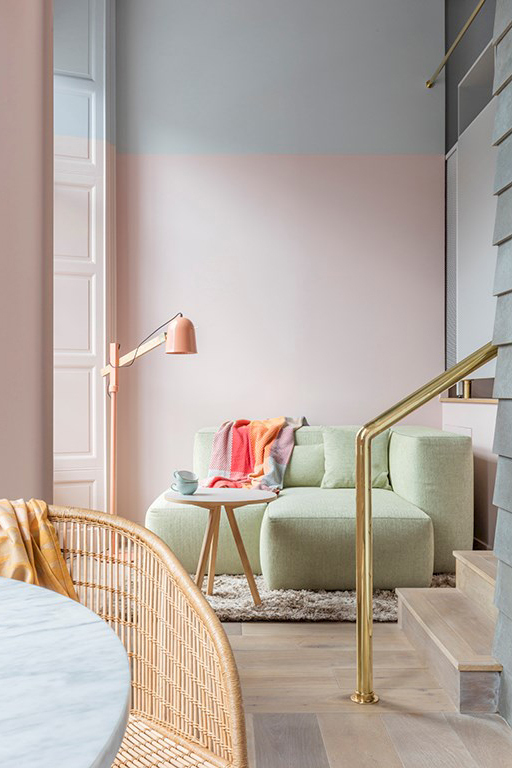 A combination of the lovechild of Instagram meets Pinterest, if you love interiors which are a little less standard than the hotel-norm, this is for you. Prices start from £275 a night. Book Now. Fountain Court Apartments pop up all across the city. One of the most popular is their West End apartments on Grove Street. Ideally located for a quick walk or bus ride to Princes Street, as well as being in a great quiet area at night away fro the hustle and bustle to relax from a days exploring. Perfect for relaxing in a home away from home as well as having the ability to keep costs low doing any cooking yourselves. Prices start from £107 a night. Book Now. 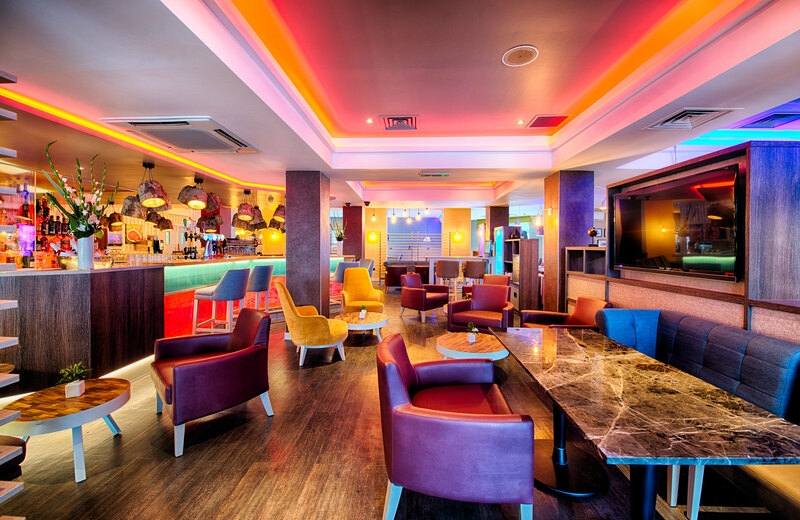 One of the West End's latest hotels, is the newly renovated and refurbished Leonardo Royal Hotel. 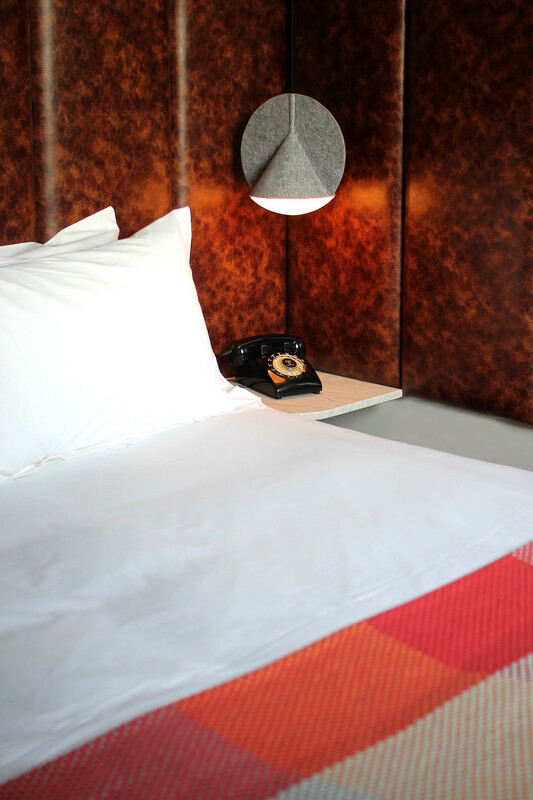 Gone are the days of a bog-standard hotel room. 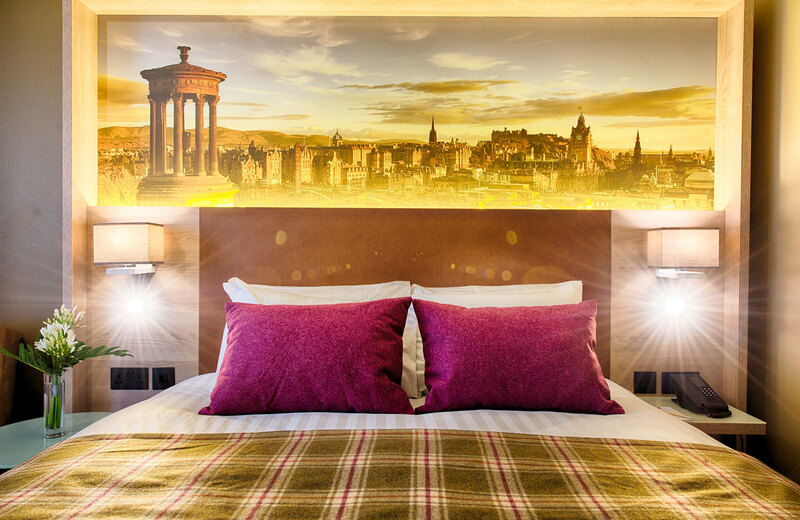 The rooms are wonderfully bright and colourful, adorned with photographs of Edinburgh; as if you needed any more inspiration than what's outside of your window! The hotel is both a great central location, as well as being budget friendly. Prices start from £224 a night. Book Now. 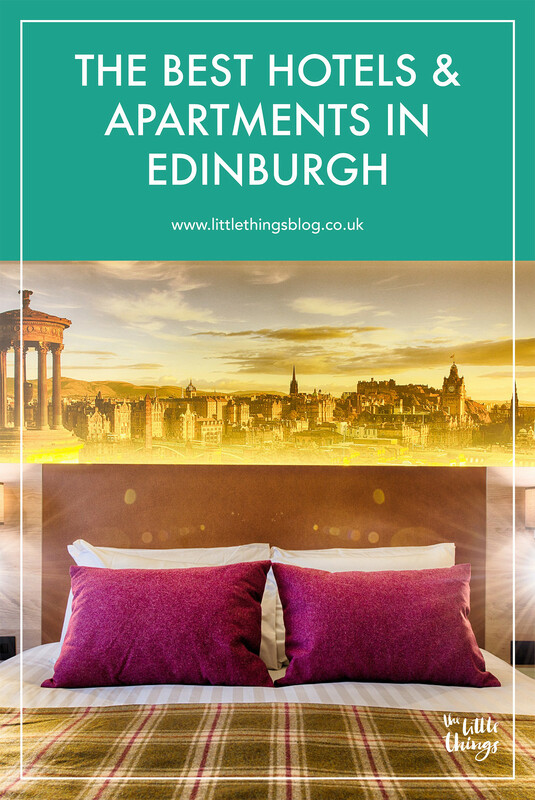 In the heart of the Grassmarket itself, you’ll find The Grassmarket Hotel. As an area, the Grassmarket is an iconic part of the Old Town, and has great access to almost every sight in the city. Combining modern living with Scottish throwbacks, its interiors are fun and inspiring. 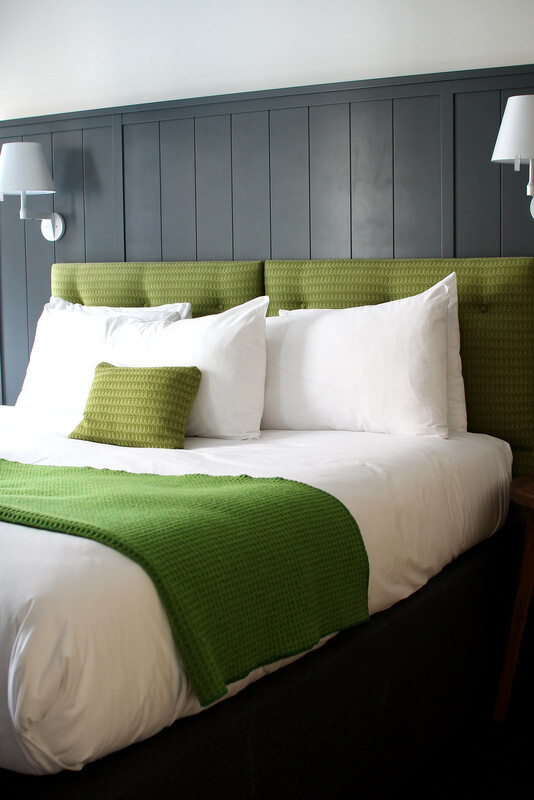 Great for if you’re on a budget, the hotel rooms average around £112 a night for a double room. Prices start from £140 a night. Book Now. The Old Town Chambers are tucked away down Roxburgh’s Close, just off the Royal Mile. Located in the heart of the old town, it's a secret away from the hustle and bustle of the city. You’ll not hear a sound at night. These are services apartments and are great for couples or families, wanting their own space in the heart of the city. Offering all the self-catering facilities you could need for a home, away from home. Prices start around £180 a night for an apartment for a family of four. Book Now. For something with a little more modern luxury, try The Chester Residence. Set in the heart of Edinburgh’s beautiful West End, The Chester Residence is set over four Georgian town houses. Allowing you to imagine what it would have been like to live in the splendour of Georgian times, with a modern twist. 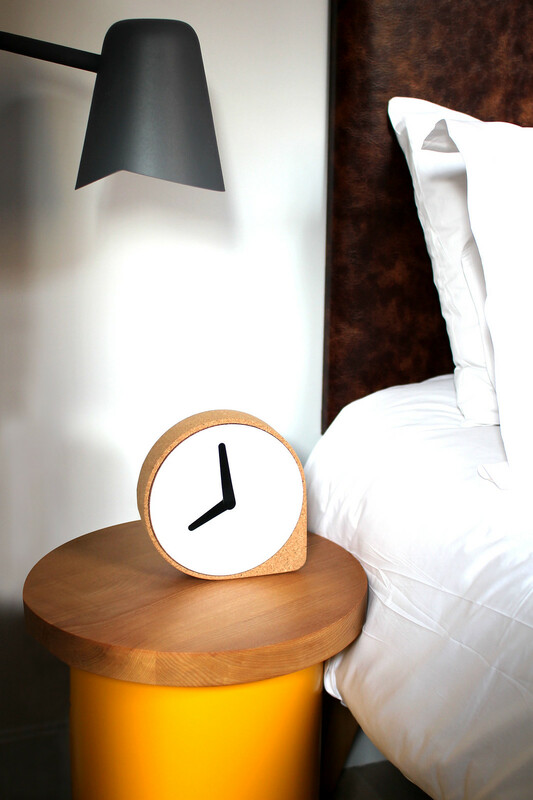 Each apartment comes fully equipped with everything you’d need for self catering. Including luxury finishing touches with complimentary slippers, and Molton Brown toiletries. The Residence includes a full reception and concierge service; as well as access to the local gym and in-room spa treatments. Although on the pricier side of things starting at £280 a night, it’s luxury that’s worth every penny. Book Now.